Thames River water levels are dropping slowly, but ice jam remains stationary, Chatham-Kent officials confirm in a news release on Sunday. According to officials on the scene, dikes have remained "relatively stable" with one repair underway. 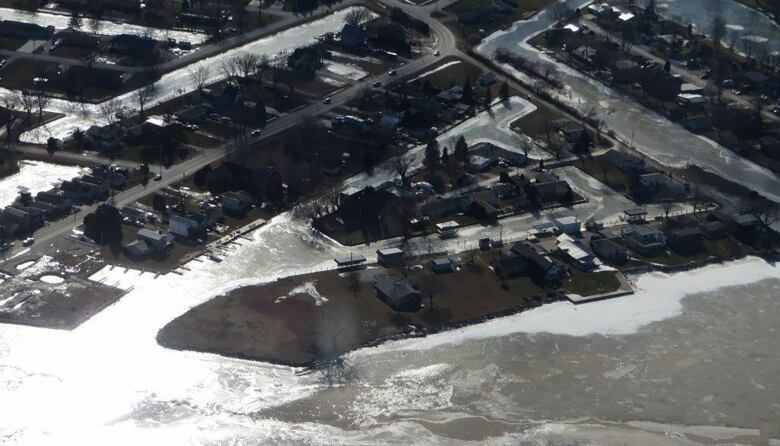 On Friday, a state of emergency was declared in Chatham-Kent after the Thames River dike failed in multiple locations around Poppe Road and Buchanan Line in Tilbury. "I'm feeling much better than I did a few days ago," said Darrin Canniff, mayor of Chatham-Kent. "The water levels have gone down significantly, so that's a relief." Several areas continue to be monitored by municipal staff on Sunday. 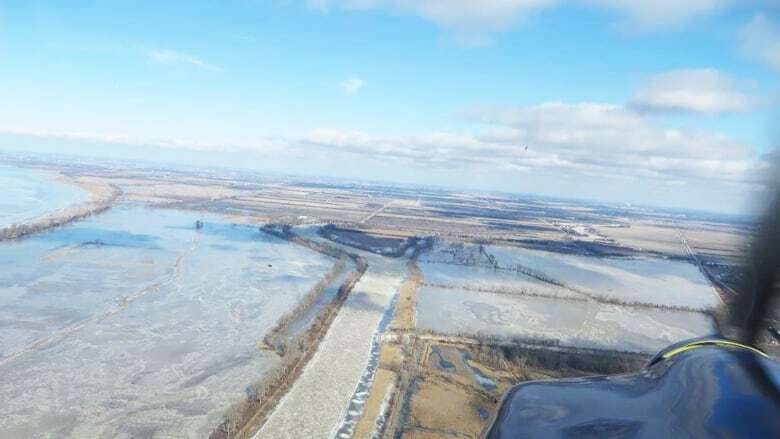 Although water channels are open at Lighthouse Cove, the ice jam remains, and now extends from the mouth of the river to 250 metres west of the Prairie Siding Bridge. "It's backing up further," Canniff explained. "There's no more as far as of any one point in the river, but it's just backing up further like a traffic jam. Whatever ice does come down the river, it's not going anywhere, so it piles up with the rest of it." Drainage staff and contractors have been repairing dikes as needed, and emergency officials remain on standby. Thirty repairs on the dike have been done so far, Canniff said. Officials ask the public to avoid the roads. The state of emergency put in place on Friday will remain until the situation is completely stabilized. The municipality's main number 519-360-1998 is being staffed 24/7 for the remainder of the weekend.